FAN-Mex is a civil society network based in Mexico which carries out advocacy around local and national water policy at various levels to promote the rights to water and sanitation and improve water management. It also builds the capacity of local organizations through the exchange of experiences, workshops, promotion of appropriate technologies and appropriate disclosure and dissemination of their activities, experiences and achievements. 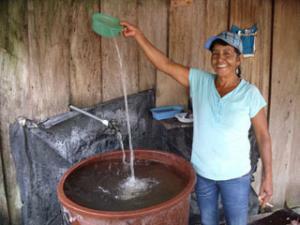 Community Water and Sanitation Fair "Nuestra Agua 2013"